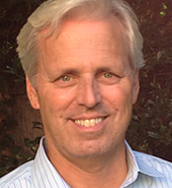 Jake joined Kinetic Ventures in 1987. His investment activities focus on transaction-based and SaaS solutions, emerging mobile concepts, and power/clean technologies. He is a director of APX Holdings, LeaseTerm Solutions, and 9Lenses. Earlier investments include SmartSynch (acquired by Itron; NASDAQ: ITRI), Clear Standards (acquired by SAP AG; NYSE: SAP), Peace Software (acquired by First Data Corp.), Innova (NASDAQ IPO, acquired by DMC), Xenergy (acquired by Energy East), and Liberty Technologies (NASDAQ IPO). Earlier in his career, Jake worked as a currency trader with the Bank of New York. He received his BA degree from Roanoke College and his MBA from Harvard Business School.